These small rubber grommets come in sizes to perfectly fit your application and they will prevent your wires and cables from being damaged. 040-114 has a integral cable strain relief, length 14mm. 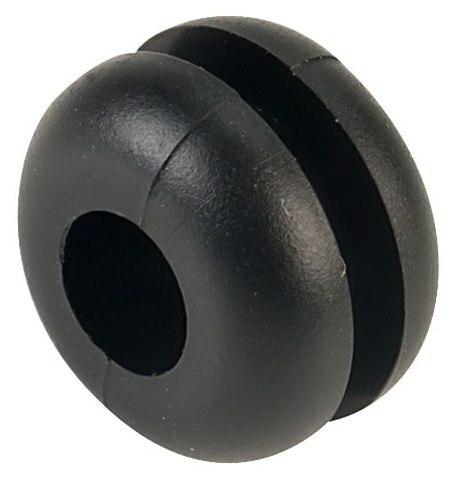 A range of nylon bushes used to protect and secure cables at the point of entry or exit anchors and protects the cable from excessive stress. Black Nylon cable glands available in several sizes to suit cables from 4.0 - 13.0mmØ. Available with either M12, 16 or 20 mounting thread.